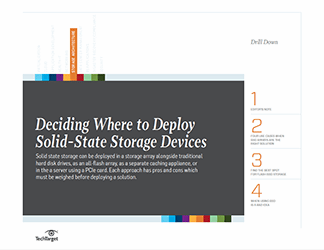 Over the past couple of years, there has been a lot of development in this area, and today, there are a number of ways that you can insert flash storage into a server. For example, you can use SATA form factor SSDs that install in place of traditional hard disk drives. Or you can use flash storage that connects directly to the PCIe bus. An emerging option is to attach flash storage directly to the server's memory channel via dual in-line memory module (DIMM) slots. Each, of course, comes with strengths and weaknesses. 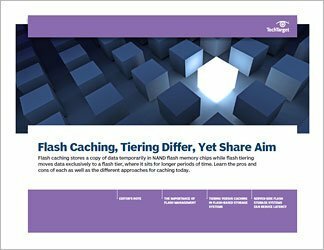 There are also a variety of standards emerging for server-side caching that are important to understand when selecting a product. 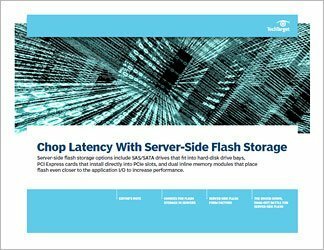 This Drill Down on server-side flash will compare and contrast the variety of ways that you can deploy the technology today to help readers better understand the pros and cons to each approach. 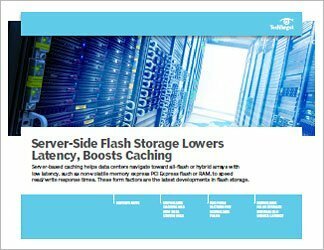 It will also explain when server-side caching is a better (or worse) alternative to an all-flash or hybrid-flash storage array. There's so much going on in this space today that it can be hard to stay on top of it all. This Drill Down will help.